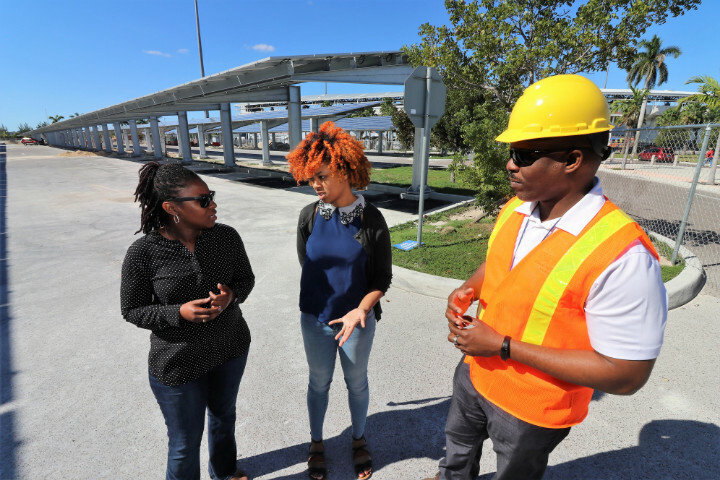 Nassau, The Bahamas - As the solar car park project is slated to be officially opened on March 18, 2019, Senior Environmental Officer with the Ministry of the Environment and Housing, Dr. Rhianna Neely-Murphy gave insight on the project, during a recent site visit of the 900-kilowatt solar car park at the Thomas A. Robinson National Stadium. Dr. Neely-Murphy noted that the project was the result of a Memorandum of Understanding between the Governments of the United Arab Emirates and The Bahamas in 2017. 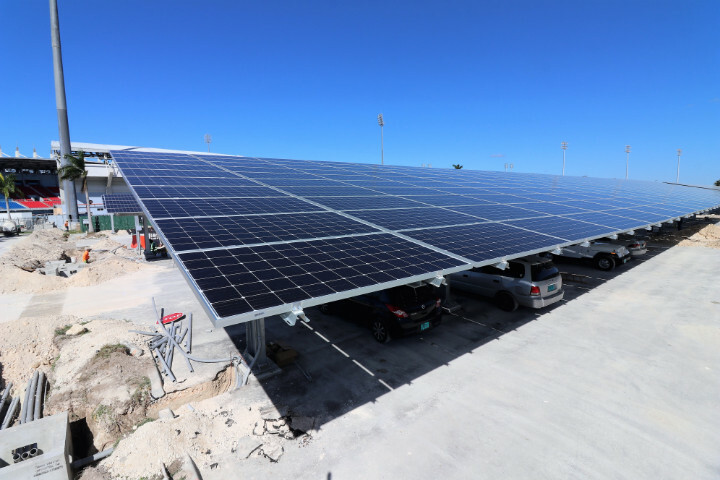 Dr. Neely-Murphy noted that, as an Environmental Scientist and as a Bahamian, the sensibility of using solar power in the nation is apparent, especially when costs in the long term are considered. Project Coordinator at the National Stadium, Scott Ferguson pointed out that the stadium was directly affected by the projected as a beneficiary and noted talks that were ongoing at that time. He added that as a Bahamian he was “tremendously excited” about such a solar project. He noted that it was a three-month projected that incorporated an approximately 30-member work force. He added that he thought that a solar project such as that one was a “brilliant” idea for The Bahamas.